Race, smash and takedown your opponents in a refreshing break from the norm action/arcade racing. Dare to be reckless and win at all costs as you enter into the world's most celebrated and globally streamed, extreme sport. 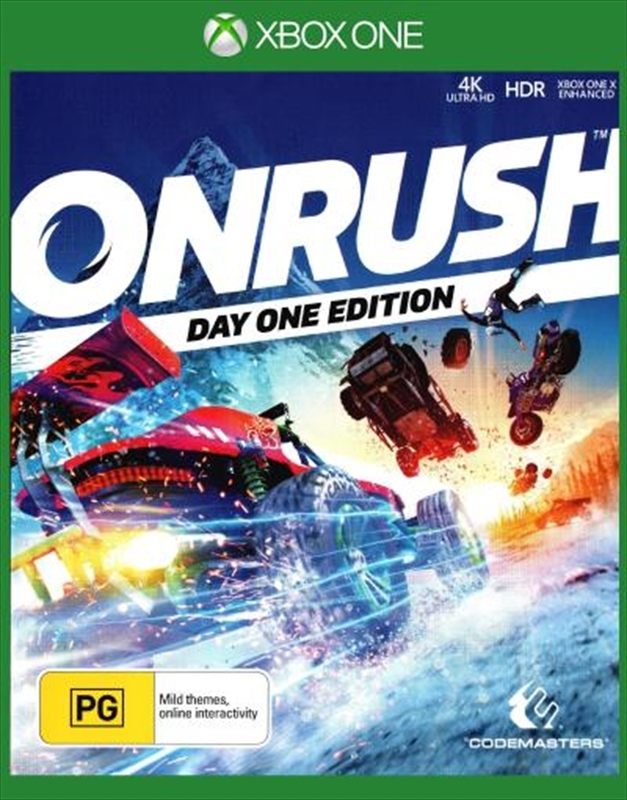 Onrush catapults you into the heart of the action, as you chase down vehicles in vibrant, multi-layered, landscapes that will thrill, excite and encourage players to perform the most extravagant takedowns! Win as a team and defeat all to show the world you have what it takes to become the 'Champion'. VERTICALITY: There's no holding back as you attempt to take on more and more treacherous routes to find the perfect vantage point. Explore and use the environments to barrel roll hundreds of feet through the air, vault off cliff edges, boost off ramps and even dive round the side of a 400ft Dam.